You’ve never seen Napa like this. 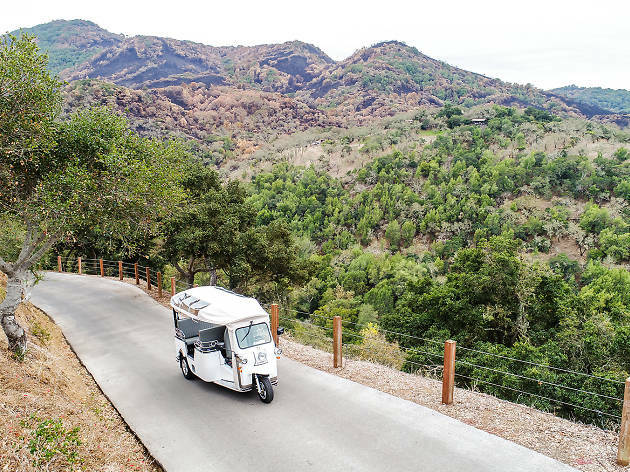 A fleet of electric three-wheeled tuk-tuks, from brand-new tour company Laces and Limos, is hitting the streets of Napa Valley, ready to take you and your squad for a spin. 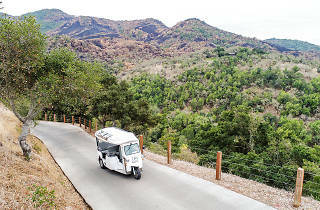 A tuk-tuk (Bangkok’s stylish, modern-day rickshaw) can carry you and five friends through picturesque vineyards while making sure the trip is comfortable with heated seats and a waterproof hood. Choose from one of three packages: The Basic includes a two-and-a-half-hour ride ($55 per person) through downtown Napa, with stops at two tasting rooms and a distillery. The Classic ($75 per person) is a three-hour journey through the up-and-coming Coombsville wine region and includes three tastings. Finally, the Custom package (prices vary) allows you to build your own itinerary of wine tastings, food pairings, classes and more. Headed out for a special occasion? Tuk-tuks can be adorned with wedding colors, birthday balloons or bachelorette swag for an Insta-worthy day among the grapes. A personal designated driver is always included.